It never ceases to amaze entrepreneurs how certain seemingly simple decisions, made during the early years of their business startup, can become fatal errors which in hindsight clearly prevent the business owner from succeeding. After meeting with many business owners across a broad spectrum of industries, it’s common to find them enduring the consequences of the same, or similar, mistakes over and over again. In most cases these five common mistakes when starting a business become very costly when it’s time to sell or transfer the business. In some cases they are fatal. 1. 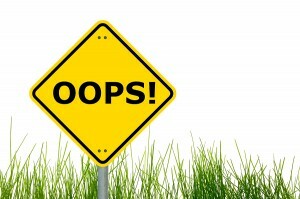 The Most Common Mistake to Avoid is Simply Not Doing the Math. Offering an employee a salary without considering all of the associated costs of employment. Such costs include employer federal, state and local taxes, unemployment taxes, worker’s compensation insurance, healthcare and other insurance premiums, retirement and incentive compensation, vacation and other forms of paid leave and benefits. Signing a lease for retail or office space without considering all of the associated costs of the lease and/or understanding what the relative market price per square foot is in the community. It is somewhat difficult to compare commercial rental space unless you break it down to the cost per square foot “fully loaded.” This analysis requires addition, multiplication and division. However, it’s important to understand that it is necessary to add up all of the costs associated with the rental space on a monthly basis (not just monthly rent), multiplying that figure by twelve and then dividing it by the number of square feet to obtain the “fully loaded cost per square foot.” Armed with this information, the entrepreneur is able to compare apples-to-apples. Ignoring the total costs required to deliver the product or services offered by the business. If all the costs are not considered, the likelihood of a business being able to set the price for its product or services at a level that permits the business to earn a profit is a gamble at best. Pencil, paper, and the addition function on the calculator are what the entrepreneur needs to avoid this common mistakes when starting a business. It’s really simple. Just do the math! 2. The Second Common Mistake is Offering Equity Without Risk to Friends and Family Members in an Effort to Entice Them to Become the Business Owner’s Partner. While many friends and family may have proven to be loyal and responsible people, not all of them prove to be great entrepreneurs. And most of them make lousy partners. Not really nice to say, but true in most cases, nonetheless.When starting out, many entrepreneurs find the journey frightening and feel that they “need” a partner to pull it off. In some cases, this is true. They recognize their own talents but understand they need the skills and talents of others to succeed in the long term. Where the business owner runs into trouble is when they find it comforting to search for that complementary talent among their lifelong friends, college roommates, or sister or brother-in-law. And it creates an even more complicated situation when a business owner offers their friends and family the promise of equity without requiring them to assume risk. Risk comes in many forms. Risk may include cash to start and/or sustain the business, bank or lease personal guarantees, cash for payroll, working more than the typical 40 hours, and in some cases contributing sweat equity without compensation in any amount whatsoever until the company makes a profit. If one partner is assuming such risks and other “partners” are not willing to do the same, then the unwilling partners are not partners at all. By offering them rights to company ownership, you are giving them equity without risk. If such an arrangement does not bother the entrepreneur initially, it will some day in the future. When it does, the feelings of frustration, disappointment, anger and betrayal will become a problem. It is better not to form partner relationships with others unwilling to share your risk. 3. The Third Common Mistake is Ignoring the Exit. Most entrepreneurs learn and understand that when they start a business, it is in their best interest to protect their non-business assets such as their home, other real estate, and investments from potential creditors of their business. In the early days of forming a new business, it is typical for the business owner to meet with their attorney and form some type of entity to shelter this risk. It is an exciting time for the entrepreneur. The days go by quickly as many hours are devoted mentally to the development of the business plan, name, logo, new relationships, etc. Much like the honeymoon for many newlyweds, the entrepreneur doesn’t see how the exit should be carefully planned now. Not later. 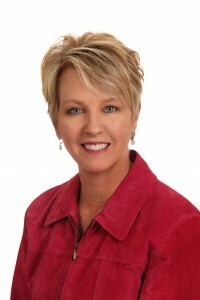 If a “partner” has been brought into the business in the form of a shareholder in the case of a corporation, a partner in the case of a limited or general partnership, or a member in the case of a Limited Liability Company (LLC), now is the time to plan for the departure of the “partner.” If the plan is to wait to negotiate the terms of departure until the time when it is needed, the experience will prove to be difficult, stressful, very expensive, and in some cases impossible to accomplish. It is not unusual to find businesses operating with partners who have not spoken to one another for several decades. Often, the reason is rooted in the fact that they skipped the exit planning process when they formed the company. No thoughts were given to the possibility that one or more of the partners may not want to continue in the role as an owner or may become ill or incapacitated. Over time, life circumstances change for each individual partner and the perspective of each partner may shift. Partners who were in agreement in the beginning do not always see eye-to-eye over time. This is where trouble begins and is often very difficult to resolve. 4. The Fourth Common Mistake is Not Practicing Your ABC’s. Once again, applying what was learned in elementary school proves to be helpful when starting a business. The ABC acronym is useful to entrepreneurs whether they are seasoned veterans or in the start-up stages of their business. A-B-C means: Always Be Counseled. 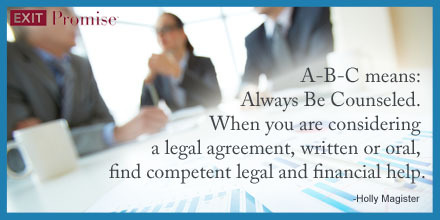 When you are considering a legal agreement, written or oral, find competent legal and financial help. Don’t skip this important step and wing it. If you take shortcuts, you will likely find yourself spending more time, money, and precious resources down the road to resolve problems. What initially may appear to be a simple contract may have serious, complicated consequences that the unsuspecting entrepreneur does not understand and/or anticipate. If you do not have an Attorney and CPA, ask other successful entrepreneurs to make a recommendation. Such professionals should be familiar and experienced in working with businesses like yours. Ask about the typical client for whom they work and be certain that the professional fits with who you are and what your business does. A-B-C also means: Always have an A, B, and C plan. The sooner an entrepreneur begins to think in terms of planning in multiple scenarios, the better. But, before the business owner goes through the trouble of planning for the best outcome (the A plan), a good outcome (the B plan), and a workable outcome (the C plan), they should start at Disaster (the D plan). One may wonder, “why don’t we call it the ABCD plan?” That is because, no one likes to think or talk about the “Disaster.” The truth is, successful entrepreneurs think in those terms. Because if they do think about the absolutely worse-case scenario in the beginning (of a business venture or any other business challenge), then the rest is simple. A-B-and C just falls into place. If an entrepreneur is going to make it successfully to the end of the life cycle in their business venture, they will face many obstacles. Obstacles become a way of life. The skills an entrepreneur needs to overcome the obstacles are born from practicing the A-B-C plan. But remember, start at plan D.
5. The Last in our List of Common Mistakes When Starting a Business is Making Promises you Can’t Keep. 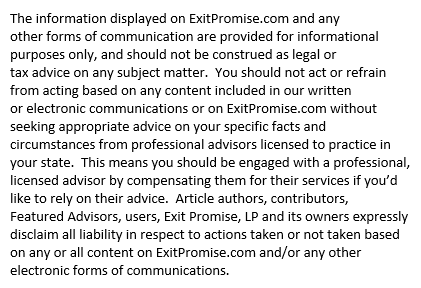 Most people do not know that a verbal promise is a valid contract. It’s true and it can get the enthusiastic entrepreneur, particularly during the start-up stage in their business, into big trouble. Most typically, business owners find themselves stepping on this landmine when they deal with employees. Promises made during the recruitment and/or employment term are carved in stone in the mind of that recruit or employee. Somehow, they never forget what was said to them. They may embellish it a bit, too. If stock or other form of ownership is mentioned to a recruit or an employee, and the business owner does not deliver on the promise, the likelihood of litigation increases dramatically. It won’t happen immediately. Instead, it happens either when the employee hits bottom or when the entrepreneur succeeds. There is an expression familiar to business owners who have dealt with the employee promises. And it goes, “what you have given, you can never take away.” If the business owner does, they are the goat. Typical employee benefits offered to employees in addition to their salary are often invisible to the employees until they are taken away. Benefits such as health, disability and life insurance coverage, automobile access, vacation and/or paid time off, continuing education, and child care are very costly to the business owner. In some cases, the business owner adds employee benefits as the company stabilizes and begins to make a profit. These additions to an employee’s compensation package may not have been initially included in the employee’s Employment Agreement. It is the addition of the benefits that becomes one of those employee promises. As a business owner starts to hire employees and add benefits to their compensation packages, they should be very mindful of both the written and verbal promises made to avoid a fatal ending. Many entrepreneurs enthusiastically share their business plan with others before they officially form their entity and begin doing business. This can be a dangerous time if they discuss potential partnership opportunities with individuals and/or entities or share specific plans that would be considered intellectual property with others. During this time, the discussions may include the possibility of some form of shared ownership of the entity or concept. And ideas from both parties may be openly explored. It is human nature that when a person hears about a great idea, their minds wonder off and recall how they thought of a similar strategy or opportunity. So, in a strange way, the idea “becomes” their own. The trouble starts when that idea comes to fruition by the entrepreneur and the person or entity—not involved in the project—believes it belongs to them. Just as in the case of the disgruntled or former employee or when the entrepreneur reaches a visible level of success, the conversations or discussions with those outside of the business become a promise that the entrepreneur never intended to make or intended to keep. It is imperative that any such discussion, during the pre-startup stage (and after the business commences for that matter) be protected with the appropriate confidentiality agreements to avoid a potential fatal error. Whether you are just beginning to think about entrepreneurship or have your start-up underway, it is not too late to make the calculator your best friend and do the math, to chose carefully and structure your partner relationships, to plan your exit strategy from the entity and separation from any partners, to make a habit of practicing the ABC’s of good counsel and contingency planning. And last, but certainly not least, make only those promises that can be kept. Hello, I just so happen to run into this website while doing a search on how to open up an LLC here in Texas. I am currently setting up my first rental property and would like some advice if I should open an LLC? Also I read in one of your articles that there is different types of LLCs? Which one exactly would you recommend if you even recommend an LLC at all? That post addresses the various types of businesses an LLC can own. LLCs are a preferred type of business entity for many who own real estate, however what’s truly best for you depends on many factors. I am sorry Alex, your situation should be discussed with an Attorney in Texas where you live. They’d be able to address your concerns and make you aware of any risks you should consider when starting your business. If you’d like to connect with one, here’s where you may request assistance. Hi Holly – your website and articles are quite informative. Would love some further information. I want to operate using a DBA under my LLC. My LLC is not currently operating, nor have I obtained an EIN for it. If I want to hire and operate solely under the DBA – do I need separate EIN, workers comp, GL ins, etc? Or should I only obtain the above for the LLC and by default it will cover the DBA? If you want the LLC to file for a fictitious name (DBA), then the LLC should file for the Employer Identification Number (EIN). And then if you choose to hire employees, using the fictitious name of the LLC, the LLC’s EIN would be used for tax filing, reporting and banking purposes. The worker’s compensation and general liability insurance would be obtained under the LLC’s EIN. This absolutely helps and answers my question perfectly! Thank you so very much Holly! Holly, I have been running two business in CA for 8 years (Sole Proprietor) I am going national and am looking to form an umbrella company (read your article) and set up a dba for each company under the parent company. No employees, no partners, no company owned property or equipment (other than office, computer, printer etc. ), I am in the service business with both companies being websites, I do have independent contractors working for me. I want to set up a Corp or LLC for legitimacy reasons and personal asset protection, based on the info provided can you recommend an entity type that makes the most sense for an umbrella company? Great website! Thank you in advance. Congrats on your successful businesses — great to hear! The decision regarding which type of business entity to form for the umbrella company is one where you must weigh many factors — asset protection, federal and state taxes and risks mitigation. Unfortunately, there is no single best option unless you carefully consider all of these factors in the context of your own personal situation. We cover these topics (among others) in our e-course about business entities due to their complexity. It may be helpful to you James. All the best to you as you expand your businesses! This was an excellent article. I’ve recently started a small business with my wife. Let the mistake making begin! We started as a sole proprietorship, and after making some money, we are now starting an llc. Your article above is a good reminder that we need to plan for multiple scenarios, not just a happy ending. However, as you can imagine, it is difficult in a marriage to talk about the business not working out. It’s much easier to avoid that kind of conversation. I will share your article and your website with her. I believe it will encourage us to further discuss and hopefully prepare for both the good and bad possibilities. I am pleased the article has been helpful to you! 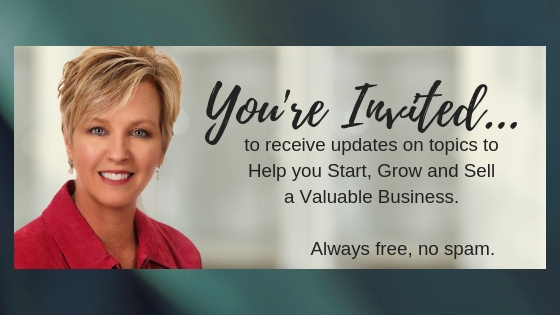 Please share it with your wife and I also encourage you to check out our other articles, tools and resources as you work to start and grow your business.